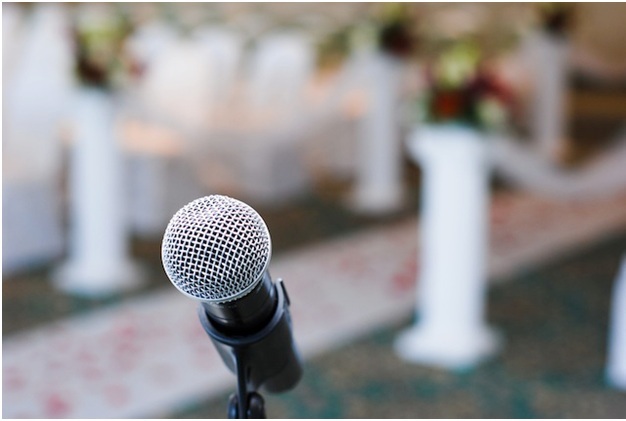 The MC at a wedding plays a very important role in ensuring that the flow of your reception is even and that your guests don’t get bored or overwhelmed. The MC needs to be entertaining; but not vulgar, fun; but not crazy. Overall they need to ensure that everyone is having a good time. 1. Choose a friend who knows you best as a couple; this will ensure an even balance to their stories about you as a couple. 2. Set ground rules for the MC, identify for them what your expectations are; if they don’t agree then they aren’t the right person. 3. Make sure the person you choose is respectful to you as couple; if the person tends to like to make fun or embarrass either of you they may not be the person. 4. Perhaps there was someone that you wanted in your bridal party but including them would have made your party to large. You could bestow the honour of hosting your reception on that person. 2. Keep the stories clean – never bring up the story of the time when the bride or groom got drunk. 3. No drinking; once your hosting duties are complete you can drink as much as you choose to. 4. Stay fully clothed – there is nothing more embarrassing to the couple or their family if the MC decides to begin removing clothing. 5. Keep the jokes clean – what you may find funny in terms of dirty jokes may not find favor with the bride and groom or their guests.